Measures: Wood Look Beautiful box plaque with silvertone angel hanging at the top. "Because Someone We Love is in Heaven Thers's a little bit of Heaven in our Home." Great home decor can hang on the wall or sit on table top. 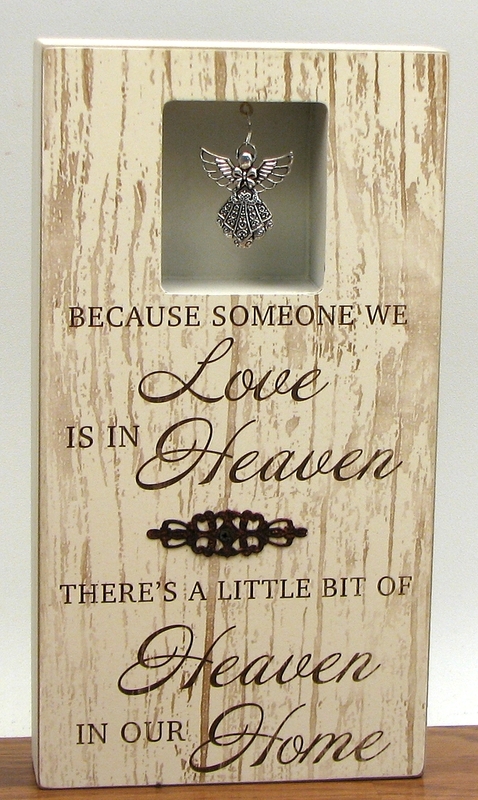 Great item for anyone who's loved one is in Heaven. Measures: 6.25"W x 11.75"H x 1 5/8"D.